Ellington honors its veterans and war heroes with a pair of monuments on the town green. 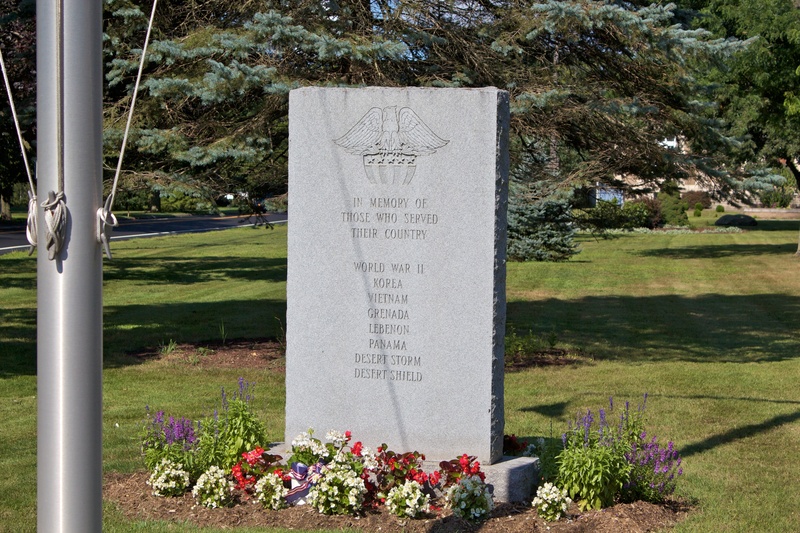 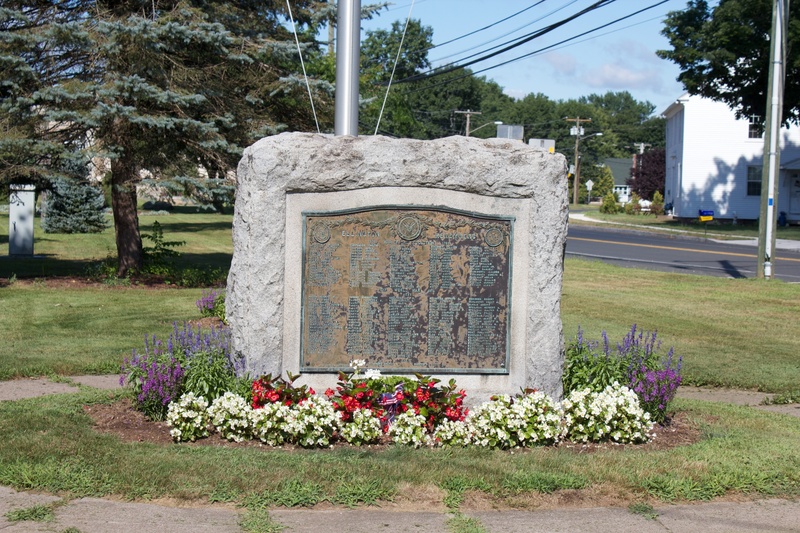 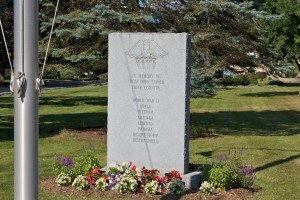 Veterans of World War I and earlier conflicts are honored with a granite monument, dedicated in 1926, near the intersection of Maple Street (Route 140) and Main Street (Route 286). 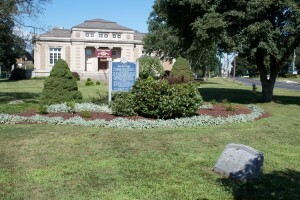 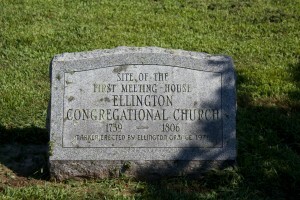 A bronze marker on the monument’s east face bears the inscription, “Ellington Remembers,” and includes seals of Connecticut, the United States and the town. 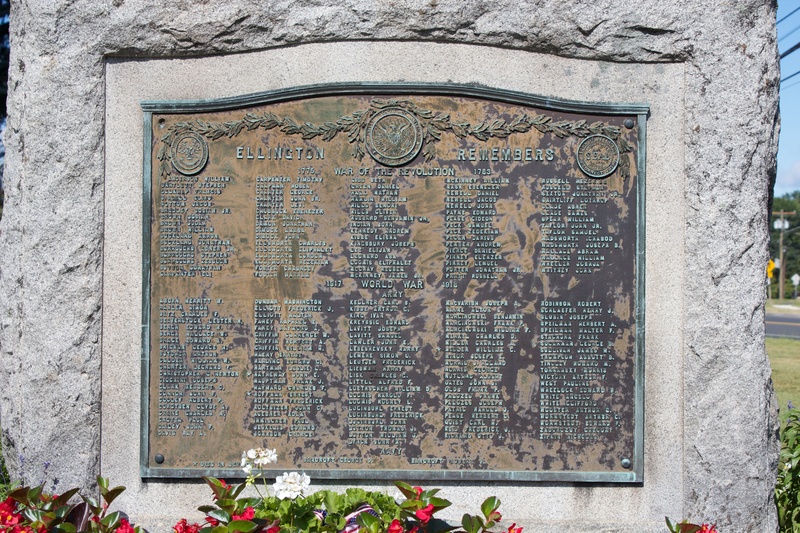 The plaque’s east face lists residents who served in the American Revolution and World War I, and highlights three residents who died during their World War I service. 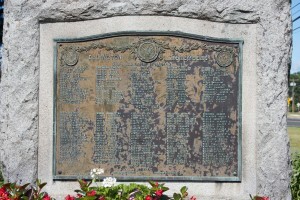 The west face of the monument also bears the seals seen on the east face. 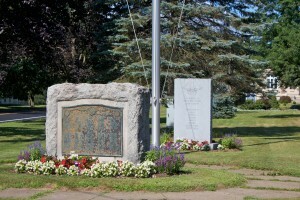 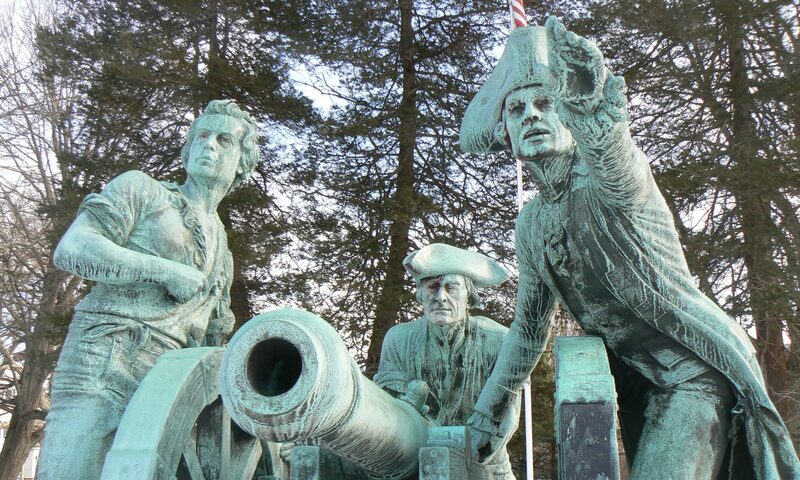 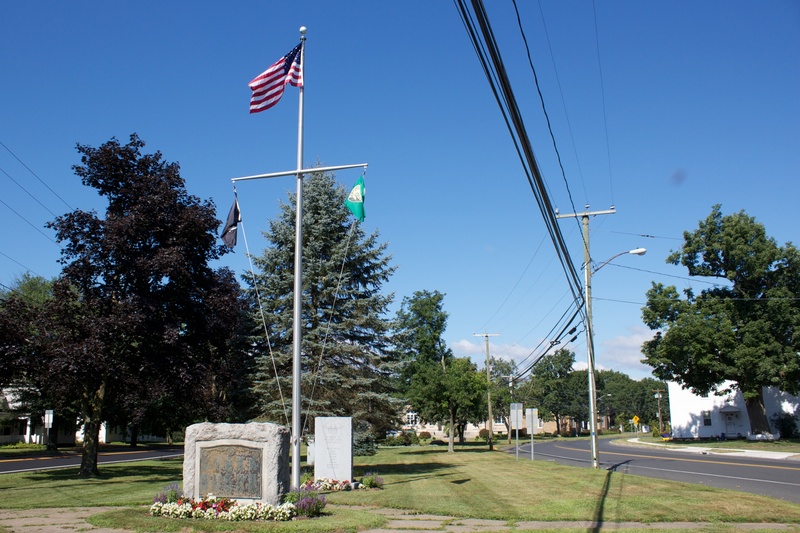 A bronze plaque lists Ellington residents who served in Colonial era wars in 1675 and 1763, the War of 1812, the Mexican-American War in 1846, the Civil War (referred to as the “War of the Rebellion”), and the Spanish-American War. 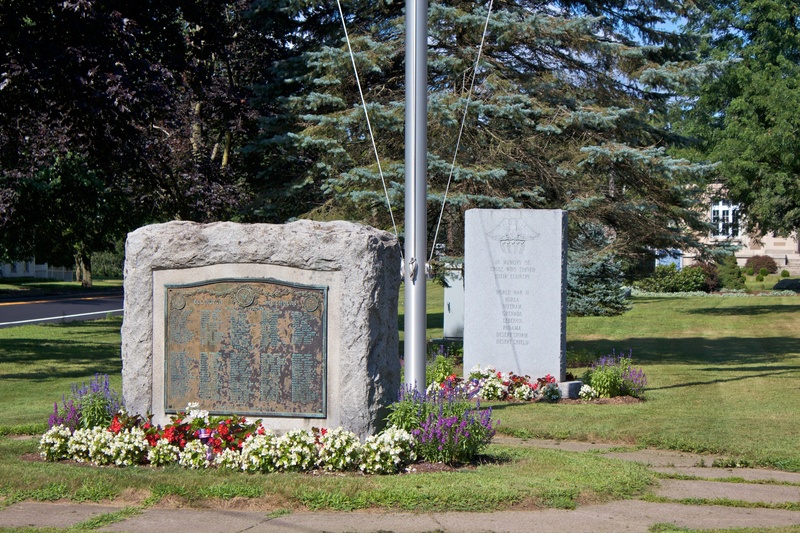 The Civil War section includes the names of nearly 150 residents who served. 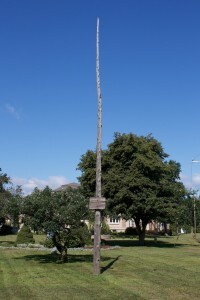 Further west on the green, a symbolic Liberty Pole was erected in 1975. Liberty Poles were used before the American Revolution as gathering spots and to invite people to take part in discussions or protests. In many communities, patriots would display a banner on a pole to summon residents. 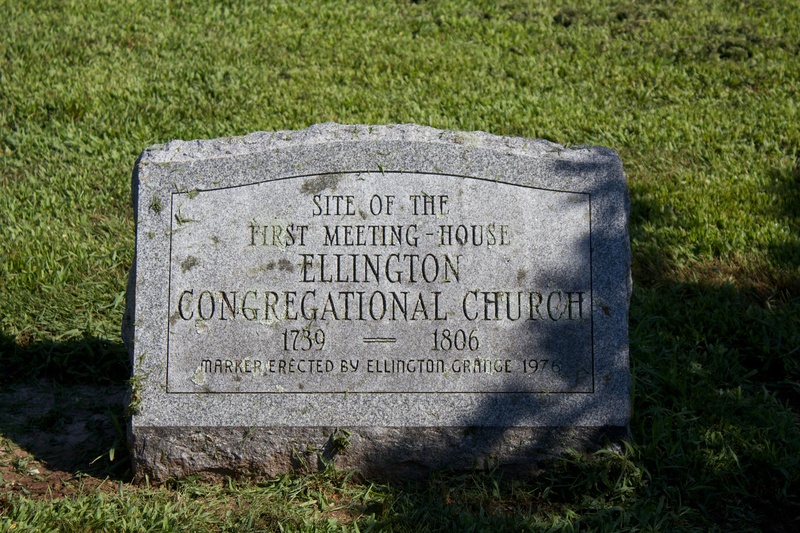 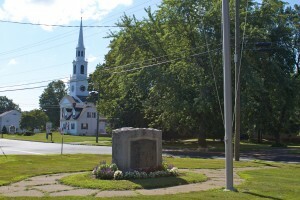 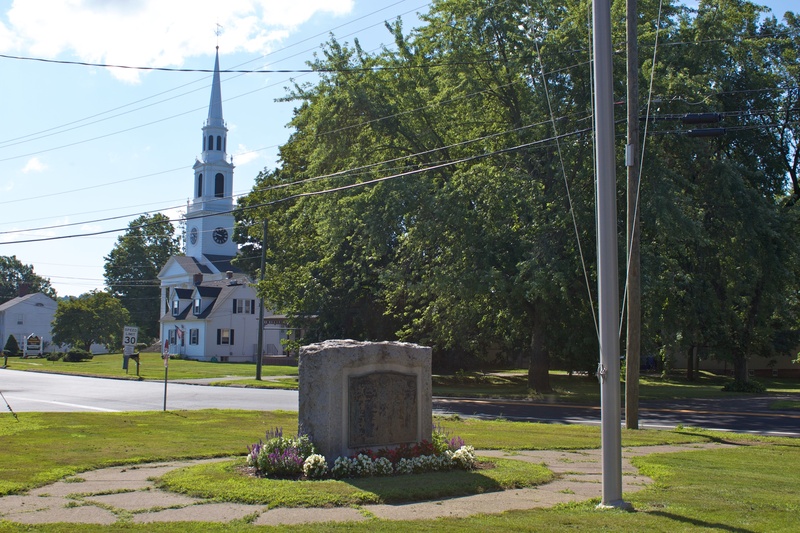 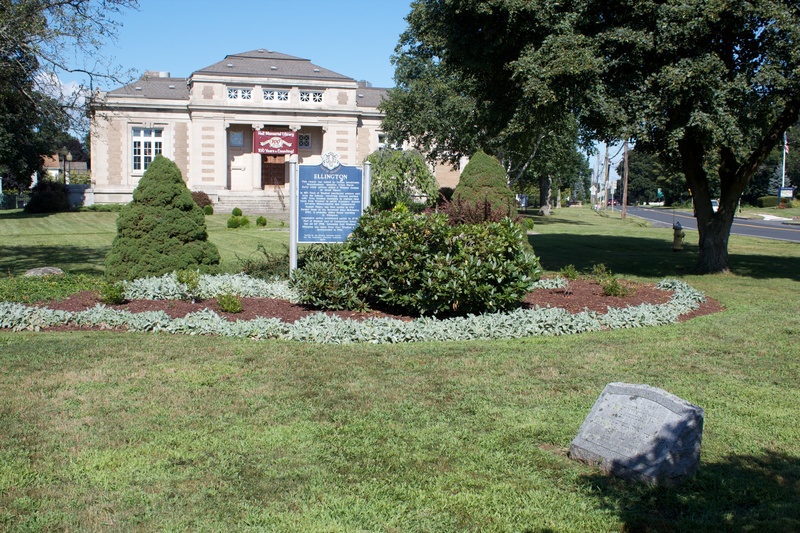 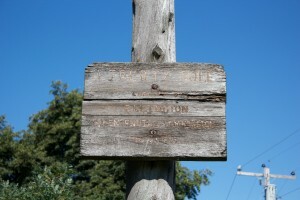 A small granite marker near the Liberty Pole marks the location of Ellington’s first meetinghouse, which was built in 1739.